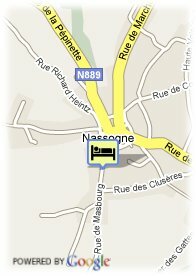 Rue de Masbourg 30, 6950 Nassogne, Belgium. 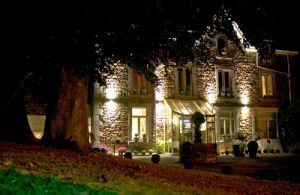 Hotel le Beau Séjour in Nassogne is located in an elegant stone building and sheltered by a magnificent lavender garden, this 3 star hotel offers you a peaceful stay in comfortable rooms. The Beau Séjour is located in the centre of the pleasant village of Nassogne. Enjoy pleasure and enjoyment of cooking with a thousand flavors. In case of arrival on wednesday or thursday the reception closes at 17.00h, so arrival after 17.00h is not possible. Less than 7 days and more than 3 day(s) before arrival: 1 night will be charged. Less than 3 day(s) before arrival : Entire reservation will be charged. Breeding of cervids. Around this small village there is about 80 km of signposted walks. The beauty centre is located at 50 metres from the hotel.